$40 taxi ride from Shenton Way to Tampines: Is Straits Times trying to sabotage taxi drivers' livelihood? 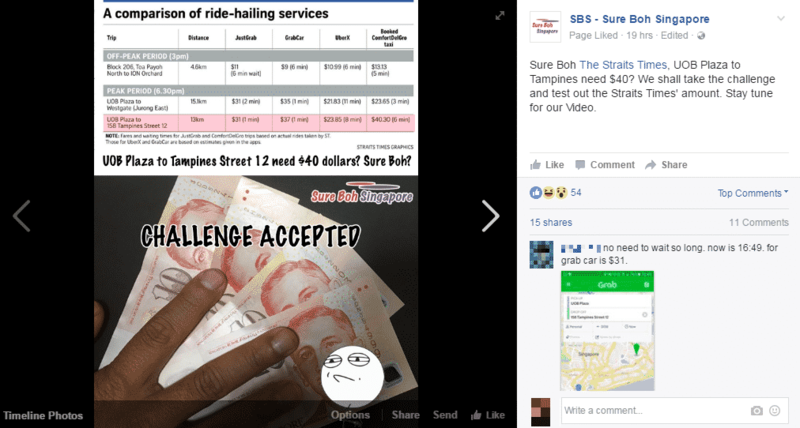 $40 taxi ride from Shenton Way to Tampines: Is Straits Times trying to sabotage taxi drivers’ livelihood? TL;DR: Don’t mess with taxi drivers. Two days ago, the Straits Times published a report claiming that cabbies are unhappy with dynamic pricing as lower fares could hurt their earnings. The journalist claimed that a journey from UOB Plaza to 158 Tampines Street 12 using a booked ComfortDelGro cab cost $40.30. The article compared the taxi fare with other ride-hailing services. For instance, the same journey from Shenton Way to Tampines only cost $31 with JustGrab, a new dynamic pricing option for taxi bookings by Grab. 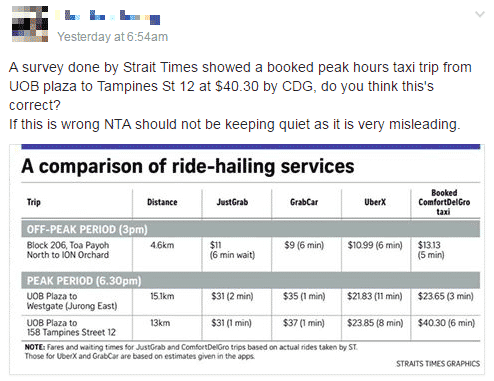 A netizen posted the Straits Times article in a taxi Facebook group and questioned if the reported fare was accurate. Many taxi drivers expressed their displeasure towards the article as they felt it was misleading. 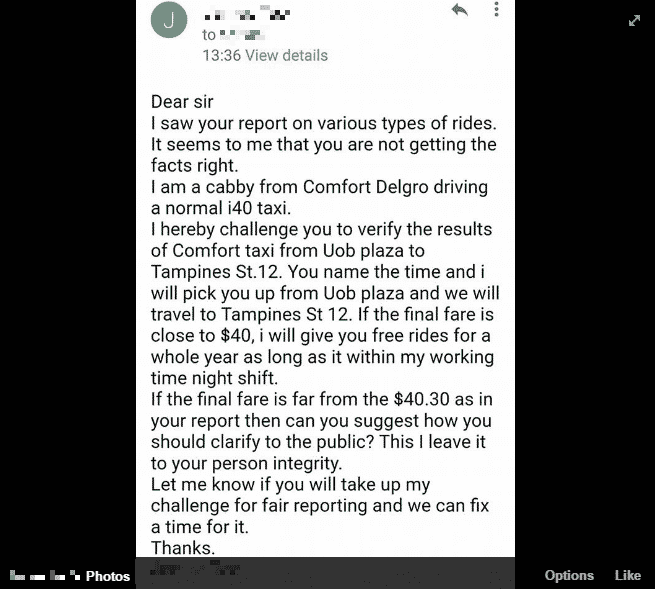 A ComfortDelGro taxi driver even invited the Straits Times journalist to verify the cost and offered one year worth of free taxi rides if the cost exceeds $40. This caught the attention of an online site, Sure Boh Singapore, who decided to take up the challenge at their own cost. It turns out that a ComfortDelGro taxi ride from the same place at the same time only costs $30 – $10 less expensive compared to The Straits Times’ ride. Here, take a look at this video.